Please note we currently have an incredibly high workload and long lead time. Because of this, we are unable to take on any new customers at this time. Our apologies. Existing customers should contact us as normal and we will do our best to help. Are you tired of towing your caravan to your local dealer for service or repairs? 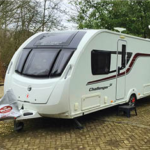 Then we have good news for you, we run a mobile workshop to carry out the annual service on touring caravans and the habitation inspection on motorhomes manufactured after 2001. As a member of the MCEA (Mobile Caravan Engineers Association) you can rest assured that we have achieved the Quality Standard level of training and workmanship that you would demand. Complete Caravan Care is also an Approved Mobile Workshop, a scheme managed by the National Caravan Council. 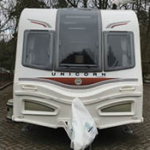 In short, this means we can perform services on newer caravans without invalidating your warranty. We are Gas Safe Registered and can service or repair your LPG Gas appliances. We can also carry out the annual gas safety inspection in static homes. Use the Contact Us page for a no obligation quote for your requirements. If you need to contact us for any reason you may do so via the contact us page or by clicking here!